Enjoy a thrilling zip-line course, miles of hiking trails and skiing for all abilities at this resort located near one of Canada’s snowiest cities. Marble Mountain is a mountain sports resort famous for having some of the best skiing opportunities on Canada’s eastern coast. It sits in the foothills of the Appalachian Mountains while overlooking the stunning natural beauty of the Humber Valley. Enjoy the renowned skiing facilities that made Marble Mountain a major venue during the Canada Winter Games in 1999. From December to April, Marble Mountain is a paradise for skiers and snowboarders. Find 230 acres (93 hectares) of skiable terrain and 39 varied trails suitable for beginners to experts. Carve down runs with vertical drop up to 1,700 feet (519 meters) and hone your freestyling skills at the terrain park. Rent a snowmobile for an alternative way to explore the snow-covered slopes. Reach the mountain via four lifts, including a high-speed detachable quad chairlift for ease getting on and off the chair and speed going up the mountain. Take a moment to admire views of deep valleys, rivers, rugged mountain peaks and the Bay of Islands. For year-round fun, come to the Marble Zip Tours at the base of the mountain. Travel high above the Humber Valley on a series of nine exhilarating zip-line courses. Experience speeds of up to 19 miles per hour (30 kilometers per hour) as you move between the treetop platforms and fly over Steady Brook Falls. Test your agility on the Spider Challenge high ropes and obstacle course. During the warmer months, the mountain is a great place for hiking. Follow a short trail to an aerial viewing platform above Steady Brook Falls or hike along steep paths to the summit of Marble Mountain. Visit the Marble Deck for live music events and barbecues. Marble Mountain is a 15-minute drive from Corner Brook on the island of Newfoundland. Deer Lake Regional Airport, which receives flights from major Canadian cities, is about a 45-minute drive away. Marble Mountain Zipline Tour is just one of the exciting experiences on offer here. For more activities, check out our Corner Brook things to do page. 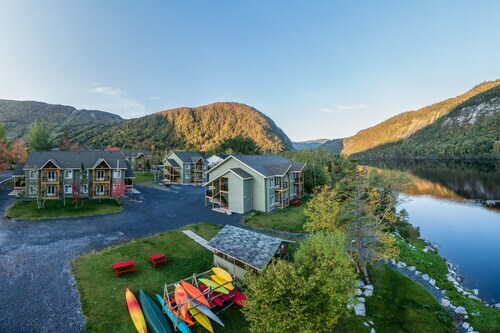 Situated on a river, this luxury resort is within a 10-minute walk of Heritage Tree and Marble Mountain. Railway Society of Newfoundland and Arts and Culture Centre - Corner Brook are also within 9 mi (15 km). 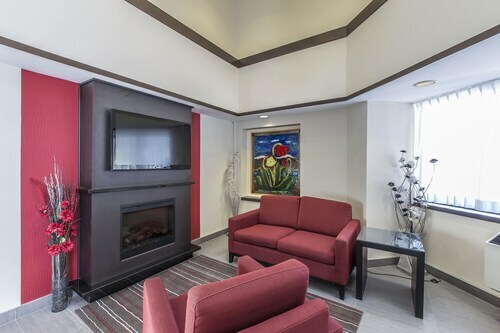 Situated in Corner Brook, this eco-friendly hotel is within 2 mi (3 km) of Corner Brook Museum & Archives, Arts and Culture Centre - Corner Brook, and Grenfell Art Gallery. Captain James Cook National Historic Site and Railway Society of Newfoundland are also within 2 mi (3 km). 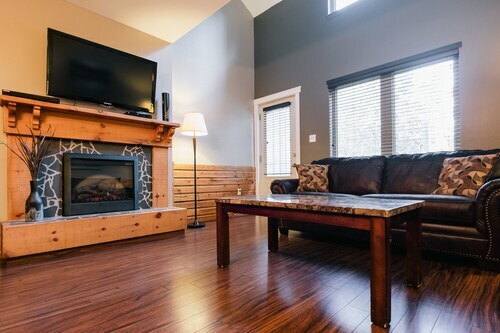 Situated in Steady Brook, this condo building is within a 15-minute walk of Heritage Tree and Marble Mountain. Railway Society of Newfoundland and Corner Brook Museum & Archives are also within 9 mi (15 km). 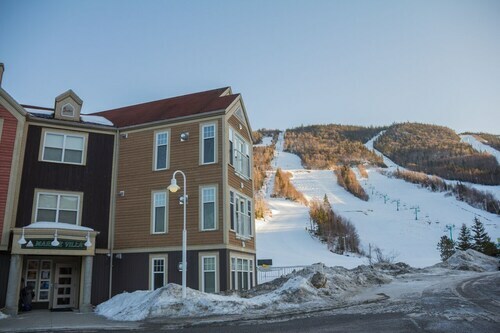 Set amidst the mountains, this ski-in/ski-out condo resort in Steady Brook is within a 10-minute walk of Heritage Tree and Marble Mountain and close to winter sports such as cross-country skiing and snowshoeing. Railway Society of Newfoundland and Corner Brook Museum & Archives are also within 9 mi (15 km). 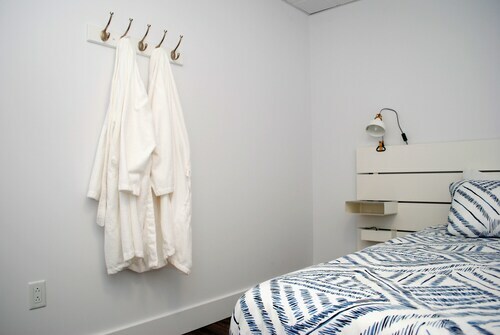 Located in the heart of Corner Brook, this eco-friendly hotel is within 2 mi (3 km) of Arts and Culture Centre - Corner Brook, Corner Brook Museum & Archives, and Grenfell Art Gallery. Railway Society of Newfoundland is 2.3 mi (3.7 km) away. 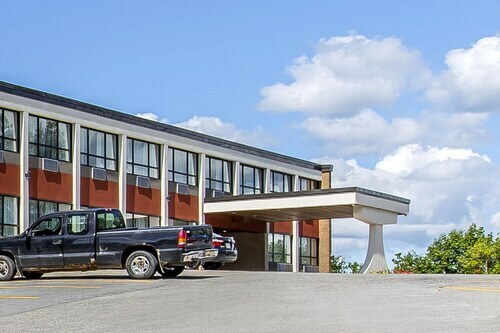 Situated in Corner Brook, this golf hotel is within 2 mi (3 km) of Arts and Culture Centre - Corner Brook, Corner Brook Museum & Archives, and Grenfell Art Gallery. Railway Society of Newfoundland is 2.2 mi (3.6 km) away. Situated on a lake, this romantic apartment building is within 6 mi (10 km) of Arts and Culture Centre - Corner Brook, Corner Brook Museum & Archives, and Grenfell Art Gallery. Captain James Cook National Historic Site and Railway Society of Newfoundland are also within 6 mi (10 km). Situated on a lake, this romantic vacation home is within 6 mi (10 km) of Arts and Culture Centre - Corner Brook, Corner Brook Museum & Archives, and Grenfell Art Gallery. Railway Society of Newfoundland and Captain James Cook National Historic Site are also within 6 mi (10 km).